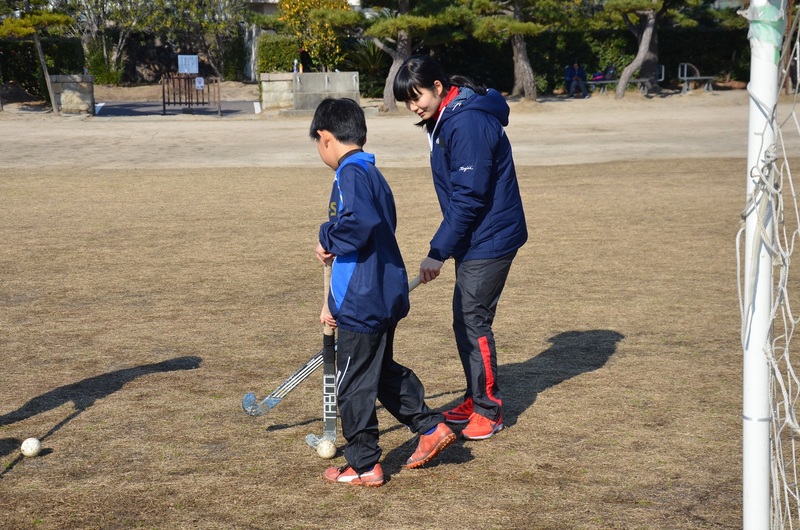 Seika Sports Cup Hockey Class Session & Fureai Unihockey Exchange Event were held! 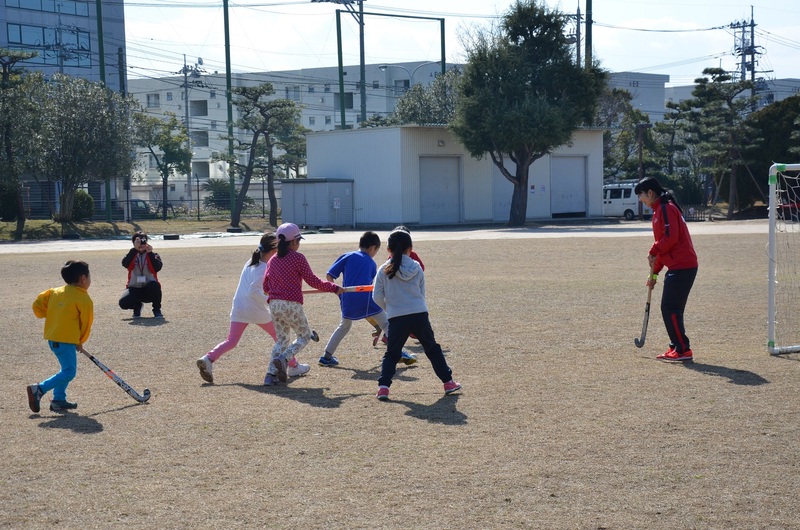 On February 2 (Sat), at Coca-Cola Bottlers Japan Hiroshima Sogo Ground, “Seika Sports Cup Hokey Class Session” was held, where 4 players of Red Sparks instructed children who were new to hockey. 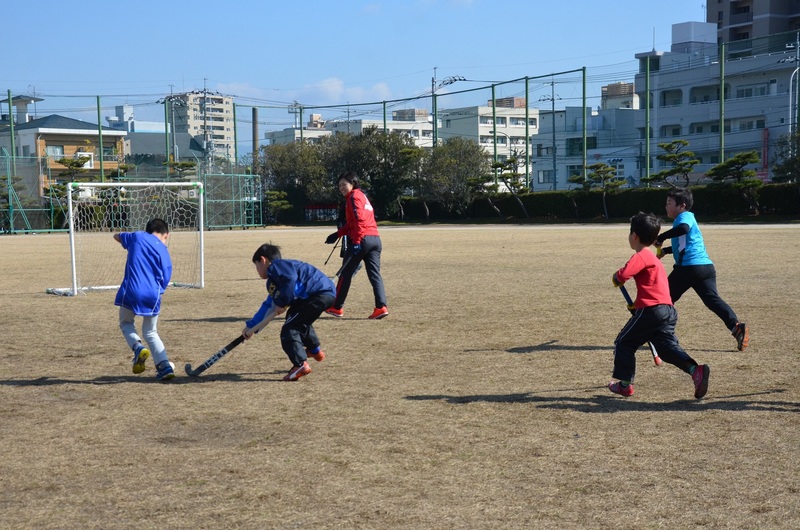 All the children learned quickly, and after an hour of practice, they became good enough to play mini games. In the end of the event, they had a great fun with a bingo game using sticks and balls! 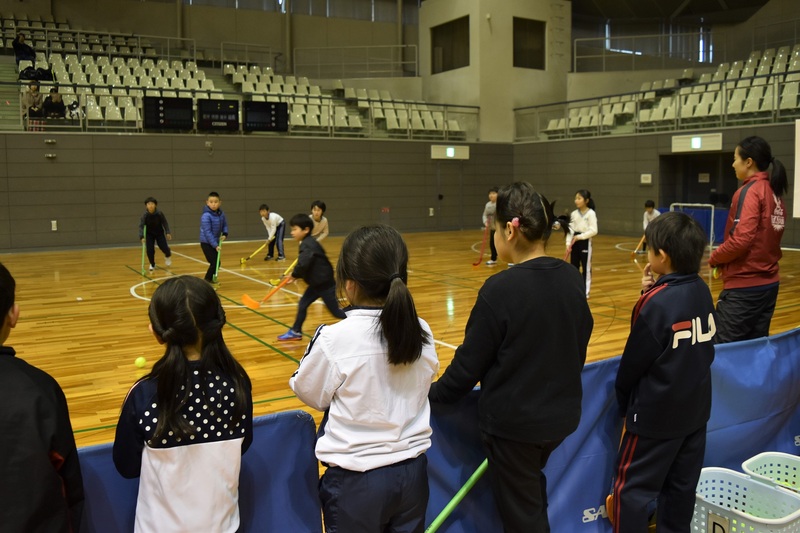 Subsequently on February 3 (Sun), at Asakita Ward Sports Center, the “Fureai Unihockey Exchange Event” was held, where we enjoyed unihockey with about 100 children. 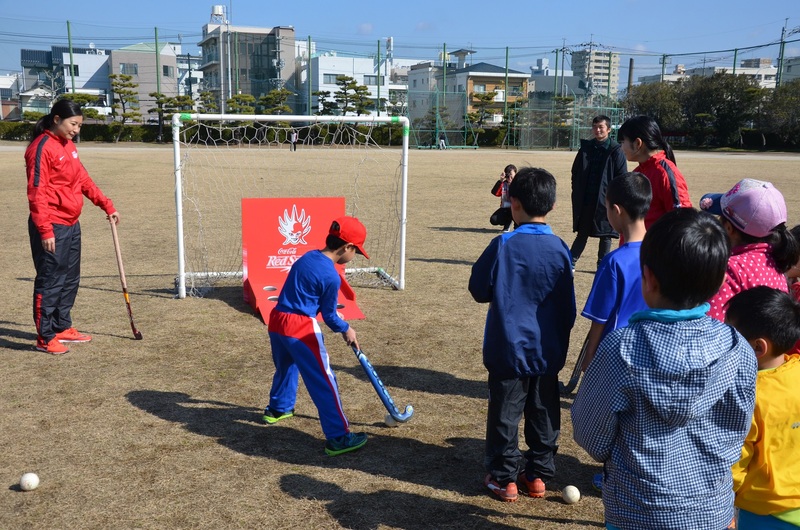 In the morning, we held a lecture by Red Sparks players, where the players demonstrated mini games and shoot-outs along with instructions! 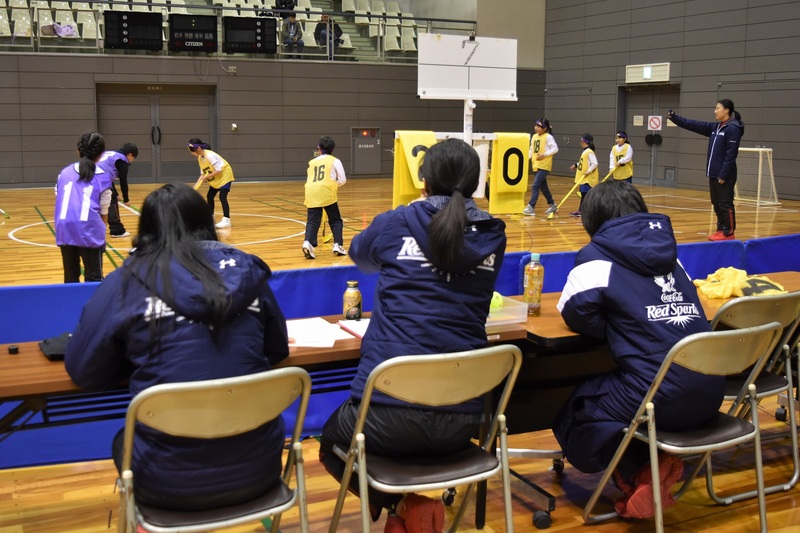 In the afternoon, a unihockey match was held, which we supported as referee and record keeper, etc. The whole day turned out to be a great success, and we gained energy from the children working so hard!